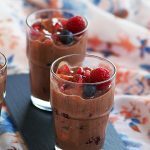 Chocolate Fruit Custard Recipe – An easy, quick, delicious and innovative Indian dessert made with cocoa powder, milk and lots of fruits. Fruit Custard is one of the most delicious and rich Indian desserts and is very easy to make for any occasion. I have already posted the traditional fruit custard which is a mixed fruit salad with vanilla custard sauce. 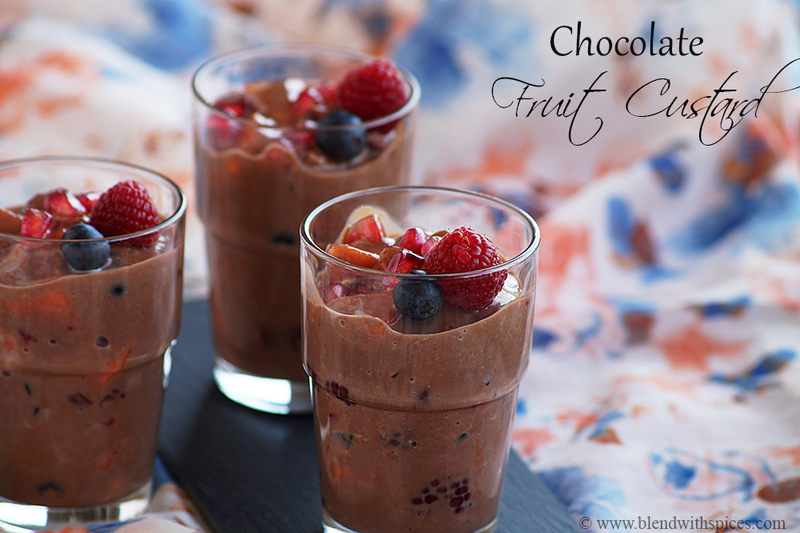 Today’s recipe is a variation with chocolate custard sauce to make the dessert richer.. You can use any of your favorite seasonal fruits except watermelon to make this fruit custard. I’ve used apple, papaya, banana, pomegranate, strawberries, blueberries and raspberries. You can also add a handful of nuts to this chocolate dessert recipe to give little more crunch. I have prepared this fruit custard recipe without custard powder but you can substitute the corn flour and vanilla essence with vanilla custard powder. If you are looking for more easy desserts recipes then do check Paneer Murki, Makkan Peda, Apple Khoya Kheer, Double Ka Meetha, Carrot Halwa with Coconut Milk, Banana Sheera, and Mango Kulfi. 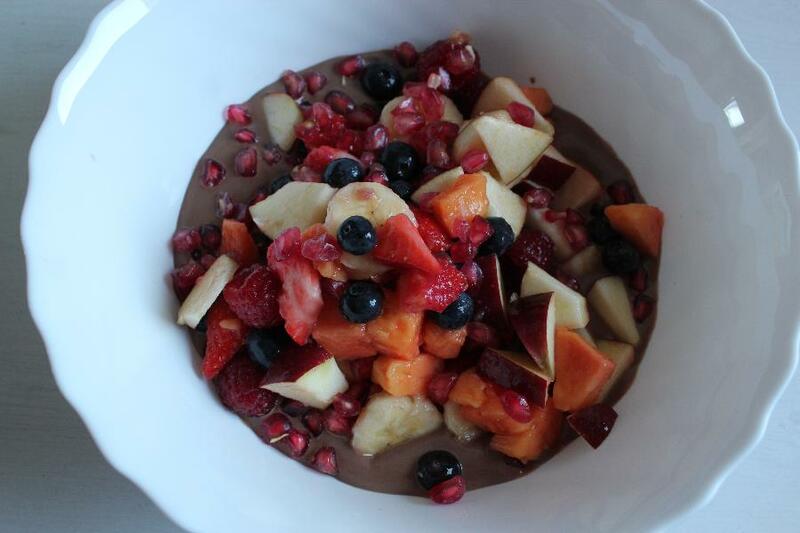 Mixed Fruit Salad with Chocolate Custard Sauce. 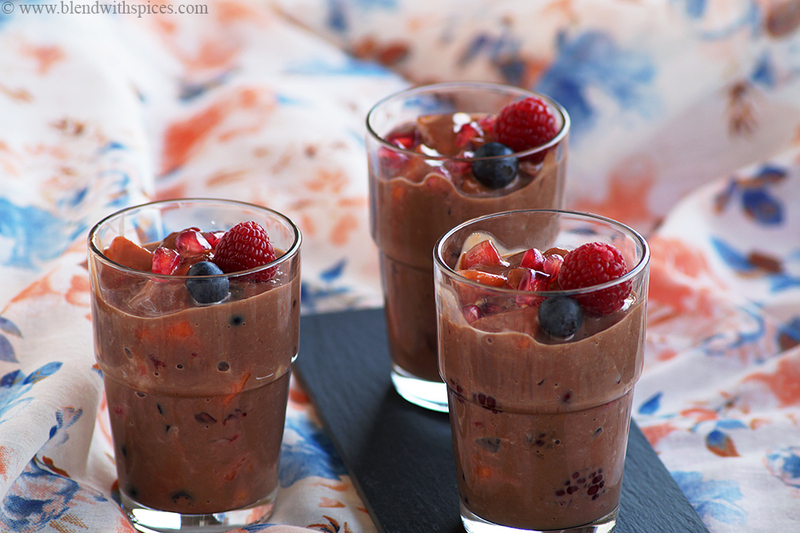 An easy, delicious and innovative dessert made with cocoa powder, milk and lots of fruits. 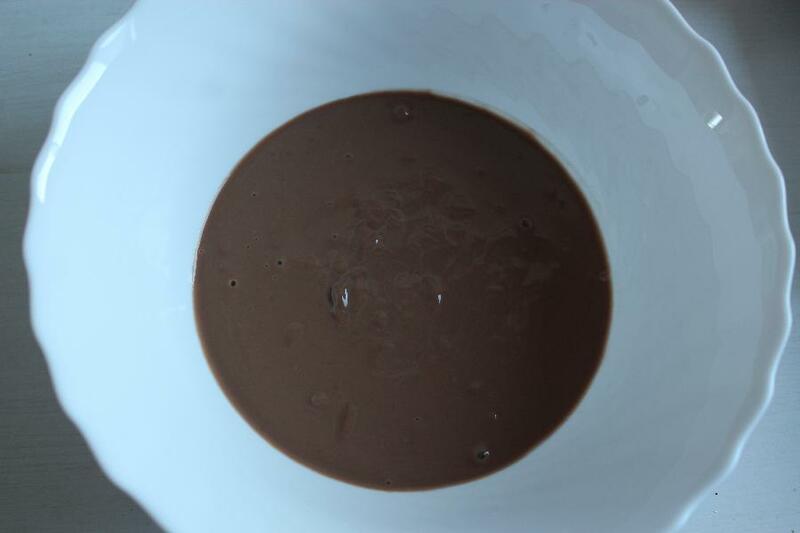 In a small mixing bowl, combine 1/2 cup warm milk, cocoa powder and corn flour. Mix well without any lumps. keep it aside. 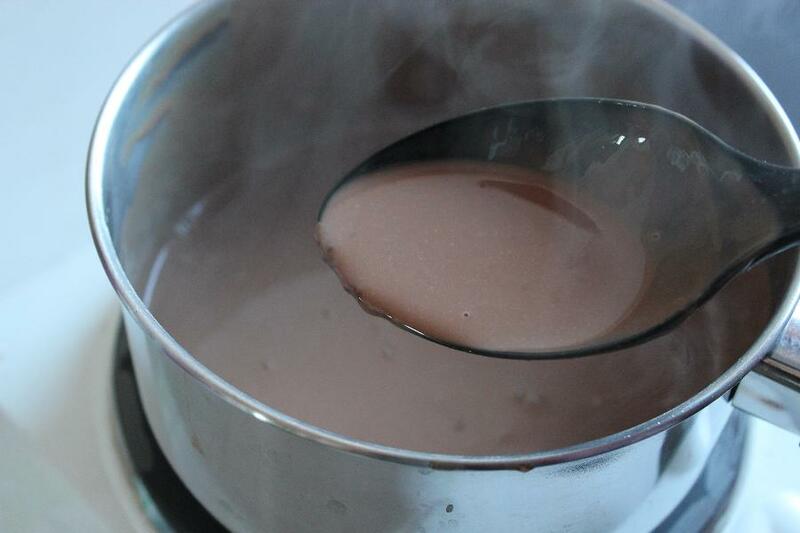 Heat remaining 1.5 cups milk and add sugar sugar, vanilla essence and prepared chocolate milk mixture. Stir continuously to prevent lumps forming. Keep stirring and cook on low flame until the mixture thickens. 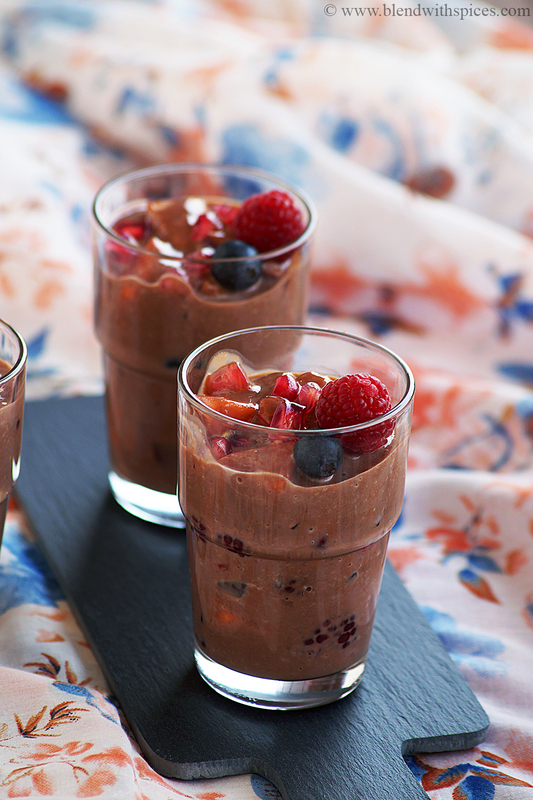 Add the chopped fruits to the cooled chocolate custard and mix everything well. 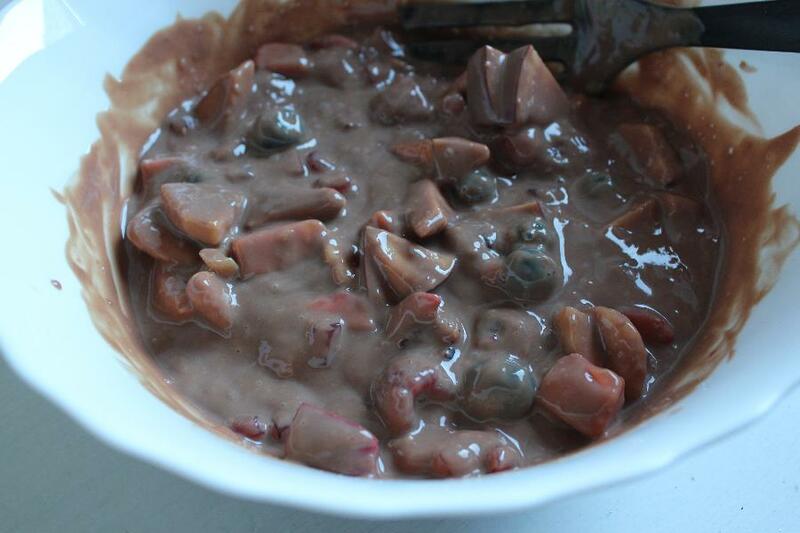 I have used papaya, apple, banana, pomegranate and berries. You can use any of your favorite fruits except watermelon to make this custard. You can substitute the corn flour and vanilla essence with vanilla flavored custard powder. 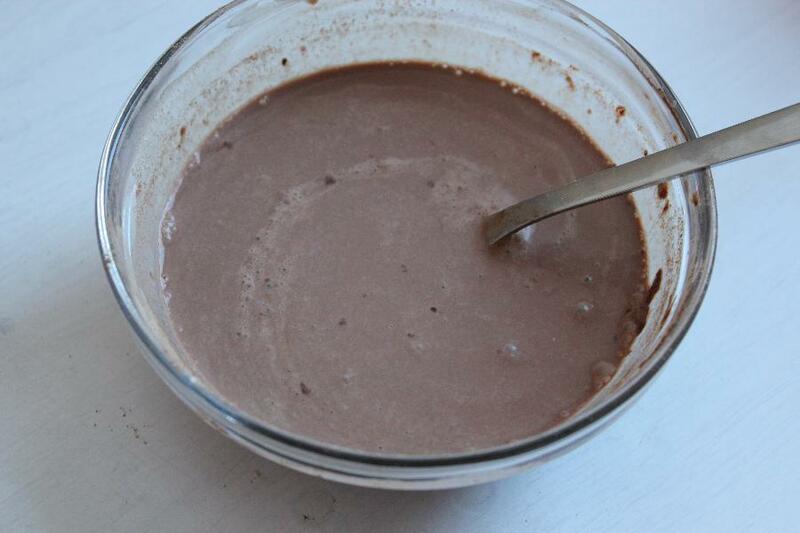 Heat remaining 1.5 cups milk and add sugar, vanilla essence and prepared chocolate milk mixture.